This is such a profound photo and quote about what this world might ultimately end up being. 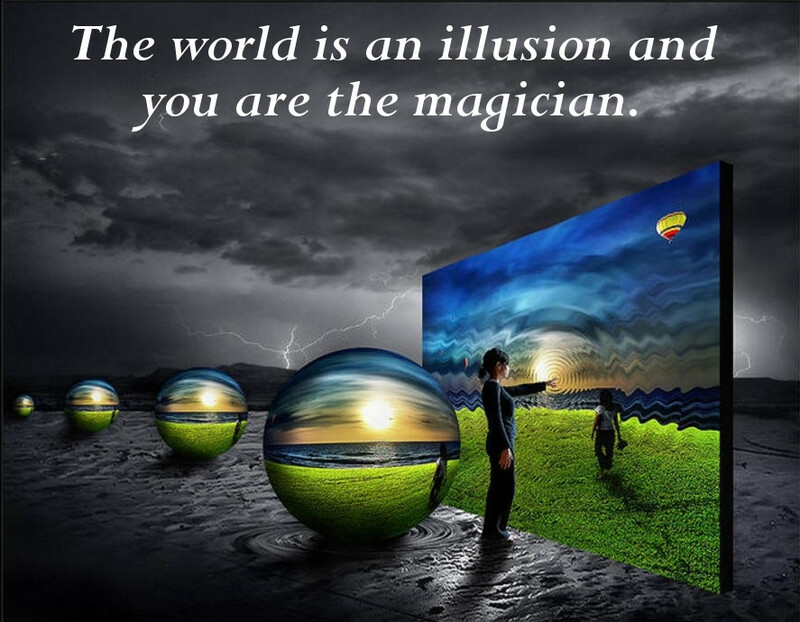 It is not easy to definitely rule out that the world is an illusion, because assuming that it is not an illusion requires just as much assumptions. Put simply there is no concrete way to rule out this concept. Regardless of whether the world is an illusion or not, at the very core of our own individual lifes are worlds that we create for ourselves. We are ultimately in control of how we live our lives and how we choose to feel. So we should keep this mind and use our minds to shape the world around us, instead of the other way around. Also, since this concept of the world being an illusion is hard to dismiss, we should allow this type of thinking to enlarge our minds to questioning just what this world is all about. The more we think about the world and what it means to be human, the more open-minded we become and accepting of others. This is because we will start to realize that all of us are in some way connected and or if the world is an illusion, created by the way we think. Thus the best way to live is to consider ourselves as being able to at the very least control how we percieve the world.